I thoroughly enjoyed the retrospective exhibition of Rupert Bunny’s paintings and works on paper at the National Gallery of Victoria. It gave a good overview of Bunny’s artistic and aesthetic development, and explored in great depth major stylistic evolutions and influences within his career. 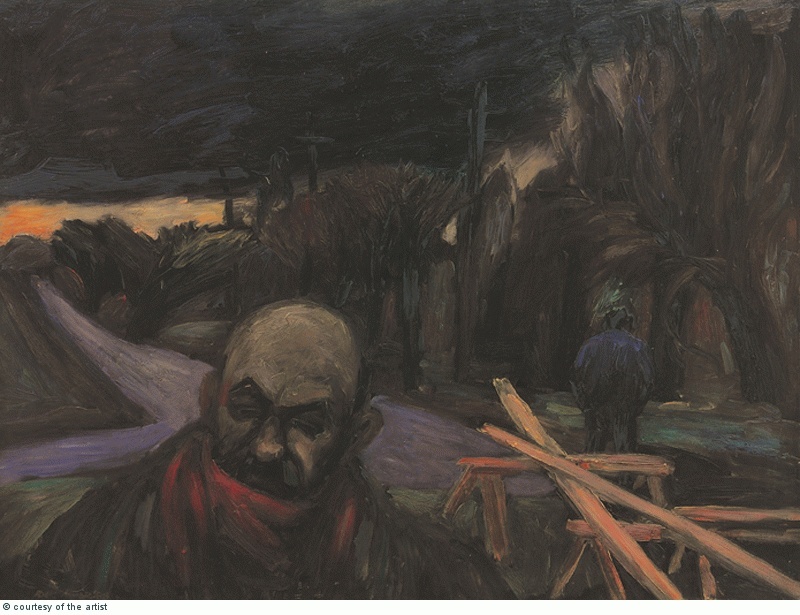 It has gathered in one place most of his well-known and celebrated pieces from major public institutions across Australia, as well as certain high-profile international collections. However, the exhibition has presented very few surprises. The curators have brought to light very few rarely seen (or previously unseen) works from private collections (though some of them have been tantalisingly illustrated in the exhibition catalogue). Their physical absence from the exhibition leaves one with a certain feeling of déjà vu. The exhibition is accompanied by a well researched and richly illustrated catalogue, and I have succumbed to the temptation of parting with $50 to secure a copy. It has been devised after an international model, and comprises of four essays by a variety of curators and academics, who concentrate on various aspects of Bunny’s oeuvre. As such, it has been a pleasure to read. The original research and use of published and manuscript materials, which have recently come to light, is excellent, and shows the awareness of Australian curators and art writers of the current trends and progresses in the international art historical research. 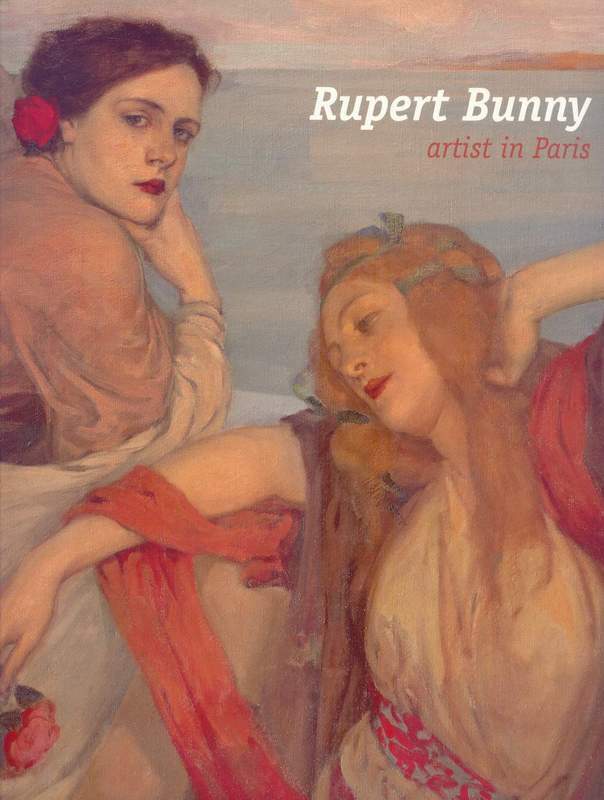 This exhibition publication is clearly not an afterthought, and is a valuable addition to the scholarship on Rupert Bunny and Australian art. Once again, if a tiny criticism is to be levelled against this publication, then it would be the absence of a proper catalogue of works in the exhibition. 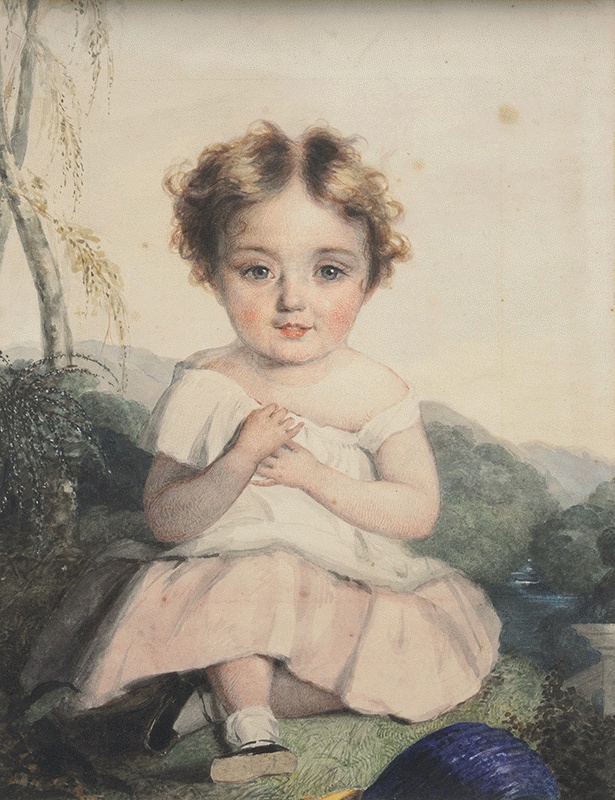 While most of the paintings and works on paper are well explored in the essays, the absence of a proper check-list with the provenance, exhibition history, and – most importantly – bibliography is a sad omission for any scholar wishing to pursue further research on any of the works in the exhibition. 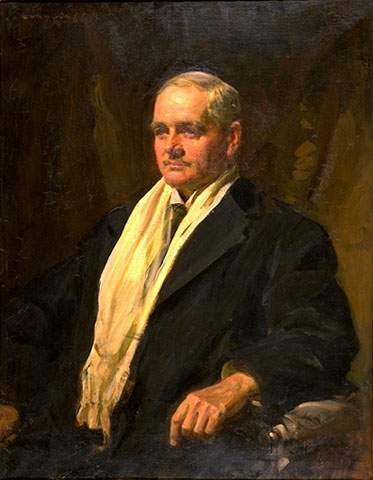 My interest in Rupert Bunny is primarily bound with my general interest in portraiture. According to David Thomas’s monograph on the artist, as well as various artworks that have appeared on the art market, Bunny sustained quite a lively portrait practice. The reflection of this side of the artist’s oeuvre is rather limited in the exhibition, although what they have chosen to show of his portraiture is rather exceptional. The visitor to the exhibition is greeted by Rupert Bunny’s self-portrait of c. 1895 (AGNSW). In a few quick dashes of sanguine Bunny had delineated his three-quarter profile, inquiring eyes, fashionably-arranged curls and moustache. The simplicity and clarity of the drawing, which shows the artist as a trendy yet Bohemian man-about-town, says a lot for his Academic training, which is largely absent from the works by the present practitioners of the genre. Similar qualities can be observed in his portrait of Comte Melchior de Polignac (1888, NGV). 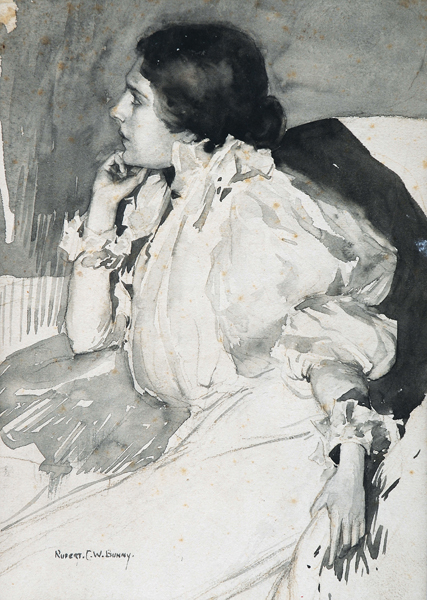 It is a delightfully informal sketch, which shows Bunny’s ability to catch a good likeness, pose, and even the attitude of the sitter with such modest means as pen and ink, within a limited amount of time. In fact, Bunny can be quite informal when painting portraits of family and friends. 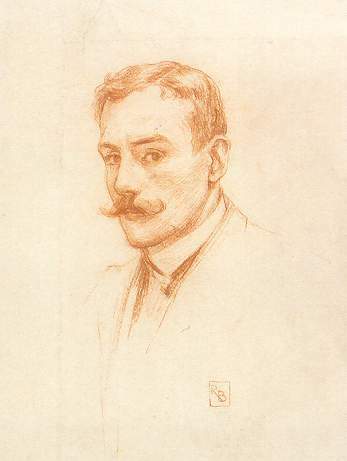 The portrait of C.F. Keary (c.1891, Denis Savill) is a proto-Whistlerian profile study in muted tones of a sitter lost in an introspective pensiveness. 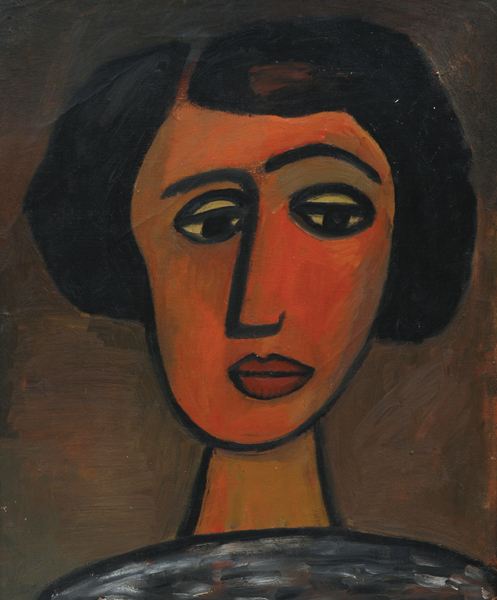 The portrait of the artist’s sister, Annette (1891, Private Collection, UK) is sharper and fresher by comparison. Bunny still retains his interest in a limited colour palette, but his sister’s features are defined more articulately that those of Keary. Bunny was fortunate to have found the muse in his model and future wife, Jeanne Morel. Her portraits in the exhibition constitute some of the most spectacular and exciting works of the genre, for the artist was able to capture the likeness of the sitter as well as create a work of art of universal appeal and transcendent quality. 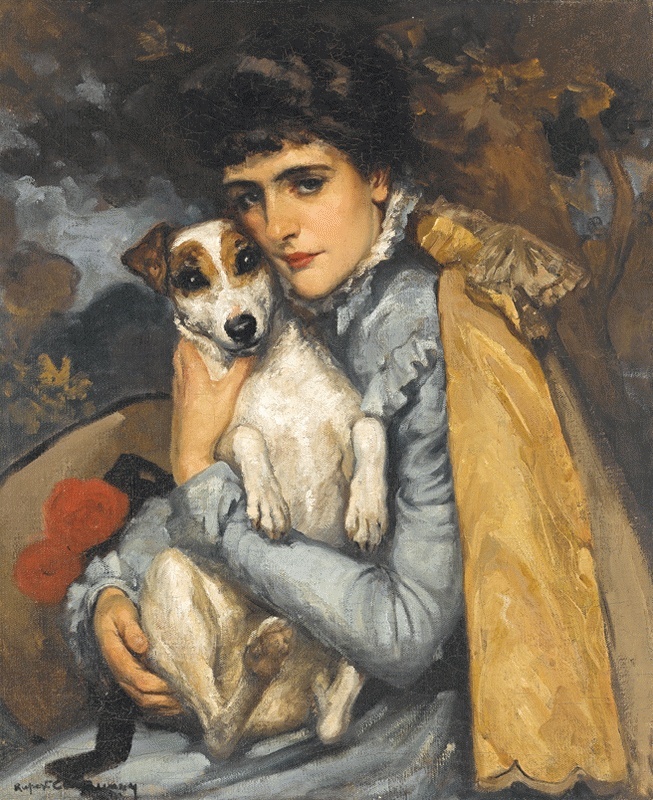 Witness his portrait of Jeanne with a terrier (1902, NGV), the charm of which reminds one of Reynolds. The colours are fresh and vibrant; the careful brushwork on the face gives way to vigorous strokes on the fabrics; and there is an even looser work in the background. The whole composition is simple yet sophisticated, paying homage to the canons of intimate portraiture of the Georgian era. 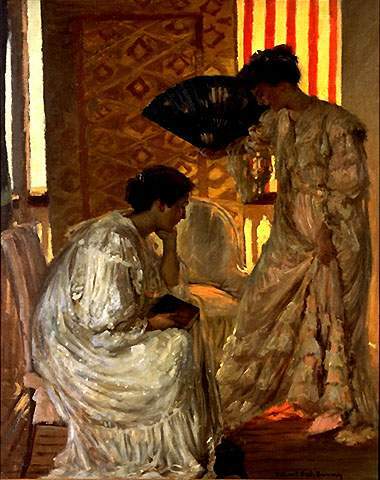 Jeanne remained his perfect model, and she appears in numerous narrative paintings throughout the exhibition, from such grandiose works as Nocturne (1908, NGA), to more intimate scenes of Siesta (1906-7, Private Collection) and Waiting (1907, Wesfarmers). 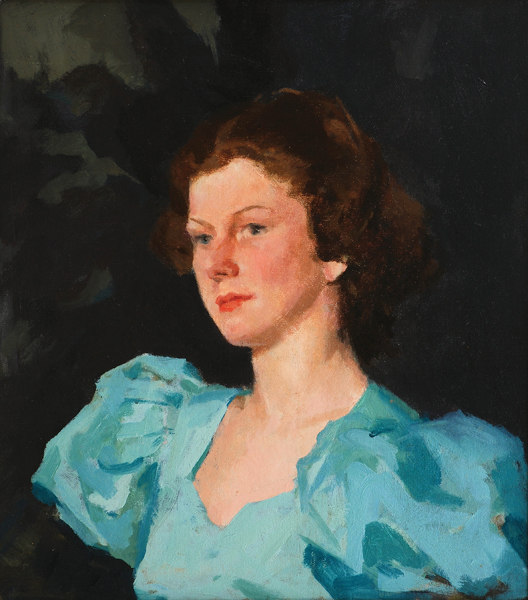 Among the last works in the exhibition is Jeanne’s portrait of c. 1917 (Newcastle Region Art Gallery). Stripped of her Edwardian frippery, Jeanne is posed leaning on the windowsill in a Dutch manner, presenting us with her more ‘matronly’ side. The exhibition features two portraits of Mme Sada Yacco. Kesa (1900, Philip Bacon) is an interesting and surprising study of the Japanese actress, who is shown standing with her back to the viewer. Bunny is more interested in capturing her exoticism and Oriental allure, rather than in showing us her face. The artist is creating an image of an archetypal Japanese actress rather than an individual behind the costume. The brushwork in this portrait is barely perceptible, and bears the evidence of Whistler’s influence on Bunny’s art of the period. Bunny has returned to the same model several years later. Stylistically and compositionally, Sada Yacco’s portrait in Shogun (1907, University of Queensland) is a departure from the 1900 ‘Whistlerian’ portrait of the same sitter. The painting is alive with colour. It is also filled with energy, as the actress spins around and twists her body, moving the layered Kimono and heavy tresses of her hair. Once again, Bunny is less interested in portraying Sada Yacco as an individual, then in creating an archetypal portrait of the Japanese actress, adapting the sitter to his own changing aesthetic sensibilities. The grandest concoction in this exhibition is Bunny’s celebrated portrait of Dame Nellie Melba (1902, NGV). 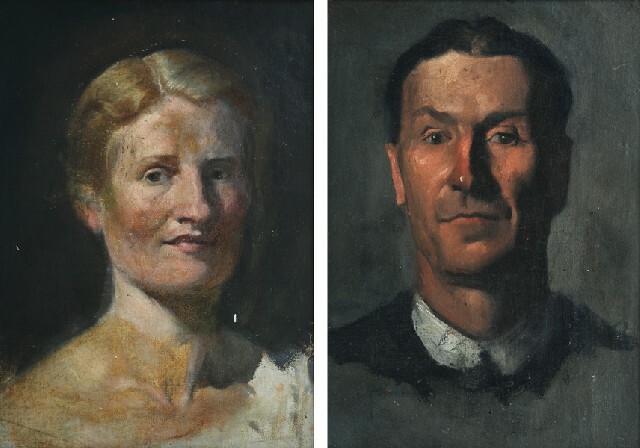 Perhaps the first striking feature of the painting is how different it is to the two portraits discussed above. 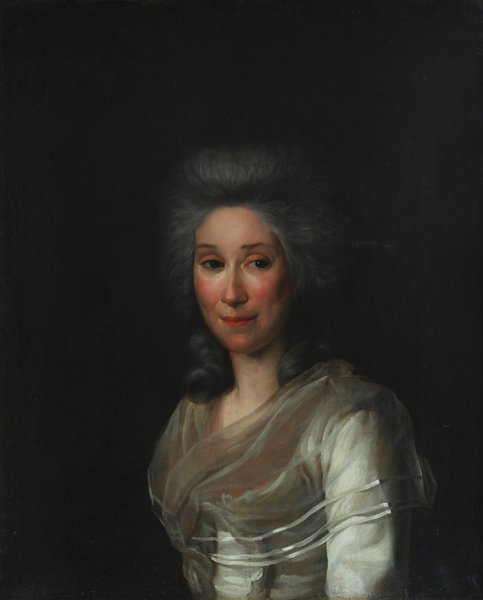 Whereas the semiotic qualities of the former represent the sitter as an archetypal Oriental performer, Melba’s portrait gives the spectator no clues as to the sitter’s occupation. 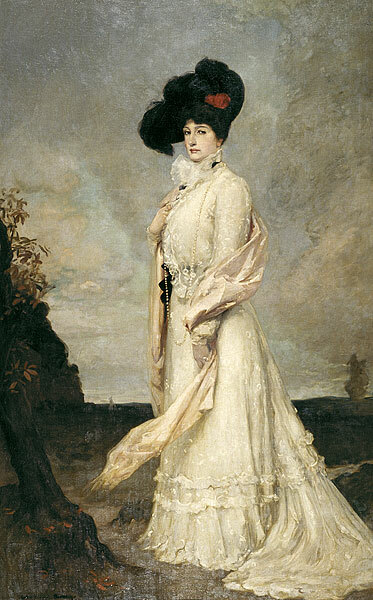 Melba is portrayed as a grand dame, a British aristocrat strolling through the parklands of her estate. 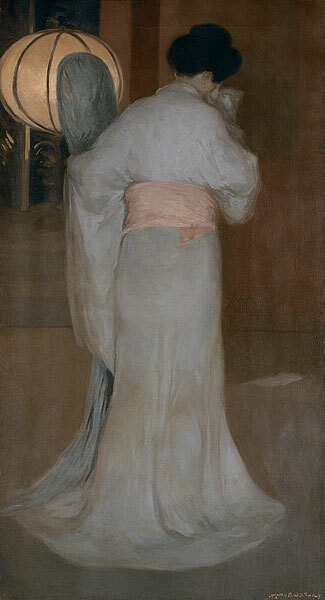 She is standing erect and column-like in her tightly-corseted Edwardian finery; the white lace and chiffon of her gown envelopes the figure and carelessly trails behind her on the ground. The pink wrap swirls around Melba, enlivening the near-monochromatic composition, while the imagined gust of wind grabs its edge and brings into the portrait the feeling of movement and energy. A close compositional relationship between this painting and Thomas Lawrence’s portrait of the Countess of Derby (1791, Metropolitan Museum), a famous actress turned aristocrat, is perhaps Bunny’s veiled attempt to hint at the sitter’s profession. 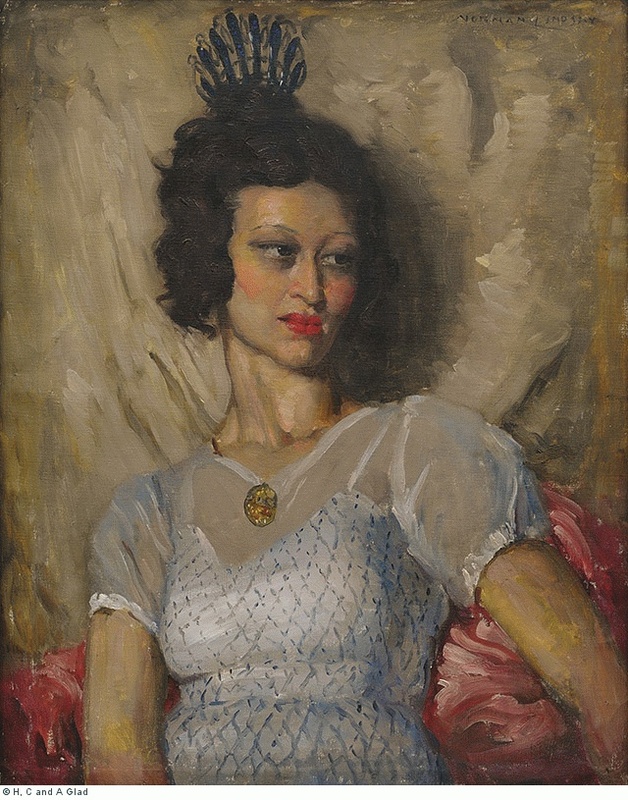 Melba’s portrait in the exhibition is flanked by a seated three-quarter-length of Percy Grainger (1902, Grainger Museum), which is once again quite remarkable by juxtaposition to other portraits in the show. It is full of spontaneity and a sense of restless energy. His features are not sharply defined; there is a nervous energy to the way his fingers play with the trouser leg, and the way he shifts his weight onto the left arm, which is resting on the back of the couch. 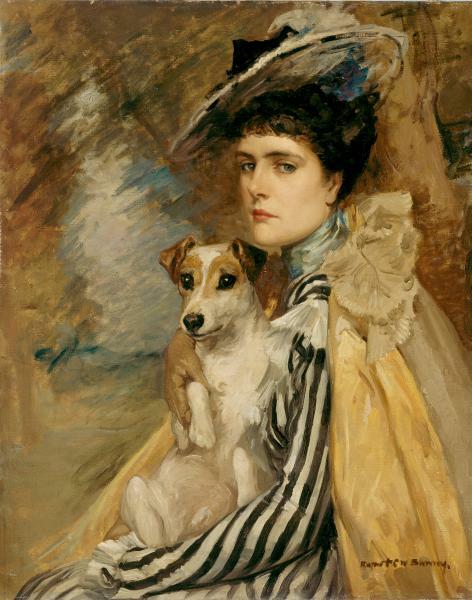 The spontaneity of this portrait, the vigorous brushwork, and muted greys of the suit form a strong contrast to Melba’s portrait, making it difficult to believe that such a different work – in the stylistic as well as psychological sense – had been painted by Bunny within the space of a single year. On the right side of Melba hangs a portrait of Madge Currie, which was painted by Bunny nearly a decade later (1911, Private Collection). 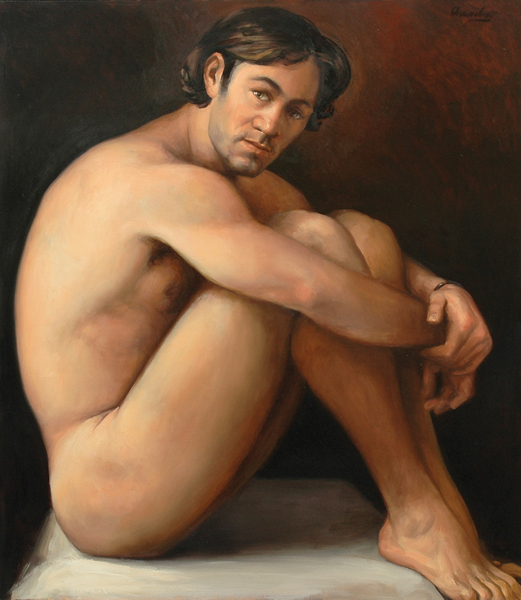 Currie’s portrait is fresher in terms of colour, and presents a sophisticated composition in terms of naturalness, simplicity, and the lack of affectation. 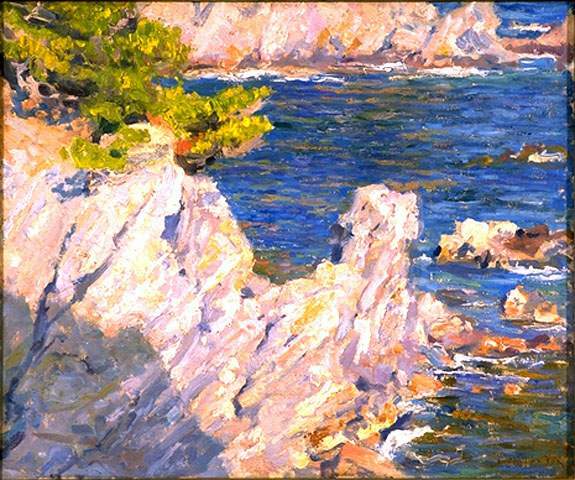 At the same time, the portrait contains multiple semantic layers. 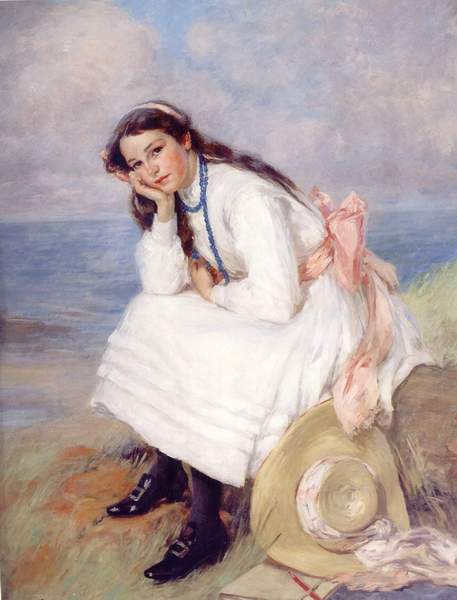 While on the surface of it, we are looking at a realistic portrait of a girl seated on the sea-shore, the painting can be seen simultaneously as a composite and idealised image of an upper-middle-class Edwardian teenager, who came to the shore for a drawing lesson (notice the pencil and the drawing album) – a becoming activity for a well brought-up girl of her age and class. The vibrancy of pinks and whites underscores the innocence of the youth; the palette and brushwork show the artist moving away from the Whislerian aesthetics towards the painterly bravura of Sargent and Helleu. 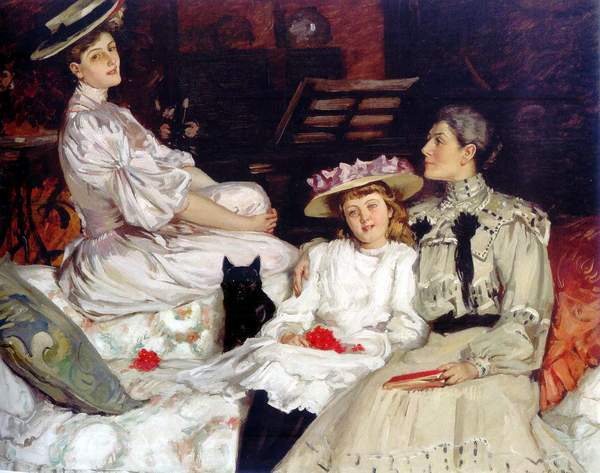 The influence of Sargent on Bunny’s portraiture is especially evident in the group portrait of the artist’s sister Annette with her daughters (1903, Rothschild Collection), as the sitters repose on the couch in a manner not dissimilar to Sargent’s Wyndham Sisters (1899, Metropolitan Museum). 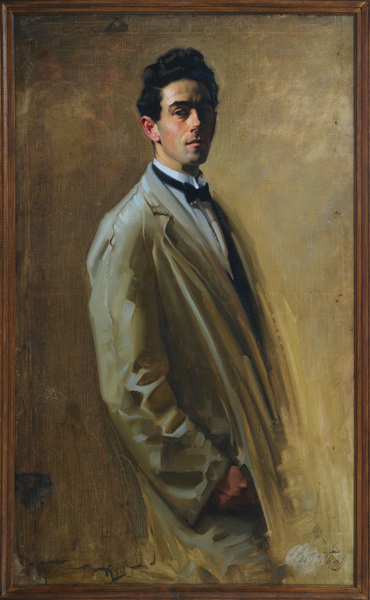 The composition, however, appears a bit stilted as Bunny grapples to reconcile the formality of a studio portrait with the naturalness of a snap-shot like appearance, at which Sargent excelled. Nevertheless, there are a number of beautiful passages in this work, such as the execution of Hilda’s puffed-sleeve Edwardian dress, and the artist’s ability to contrast the greying maturity of Annette with the pink and cream complexion of her daughters. 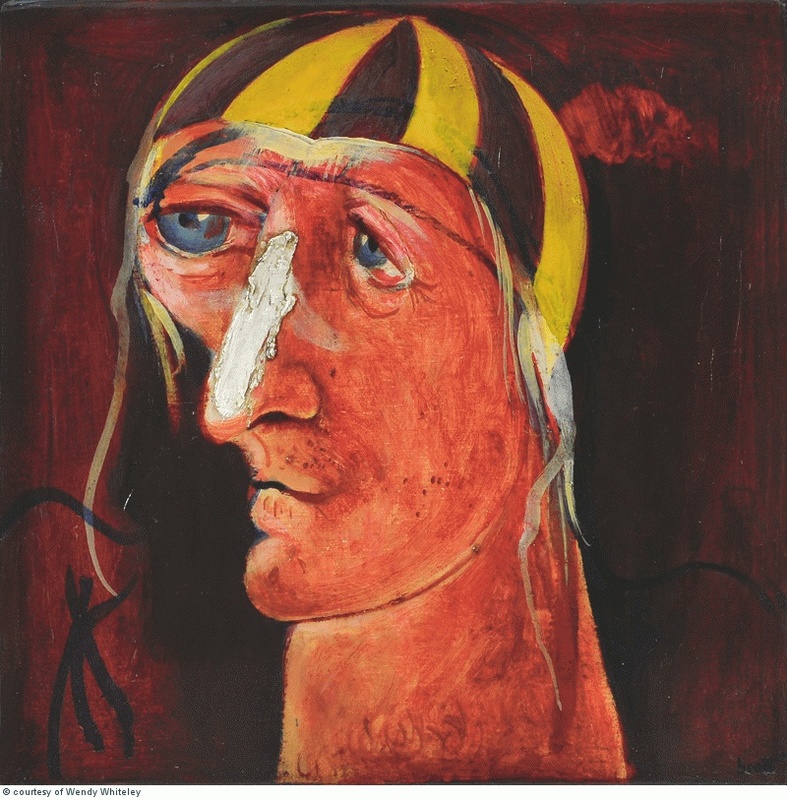 The presence and variety of portraits in this exhibition – as well as their regular appearance on the art market – confirms that Bunny’s portrait oeuvre deserves a closer examination, and perhaps an exhibition in its own right.